One of the many challenges to state charitable solicitation registration and renewal is that many states require the filing of, in support of an initial registration, renewal or annual report, audited financial statements by a certified public accountant and prepared in accordance with generally accepted accounting principles. 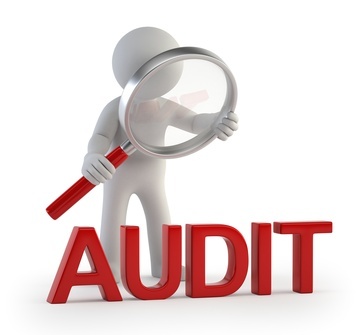 Nonprofits that do not already endure the arduous and expensive audit process might have to take this on, but it depends on where the charity is registering and other factors. Fortunately, most states have established thresholds that exempt nonprofits with limited revenue or contributions. Also, some states will allow for a waiver of the audit requirement. There are up to 25 states that do not require an audit for initial charitable registrations, including the popular states for charities of California, New York, Texas and D.C. Also, four additional states, Connecticut, Michigan, New Mexico and Pennsylvania, may grant a written audit-waiver request. In Massachusetts an audit is not required if the Unified Registration Statement is used for the initial charitable registration. Unfortunately, that form is only available for filing in Massachusetts by charities that are not incorporated in the state (i.e. domestic nonprofits must use the state-specific Form PC and include audited financial statements if revenue exceeds $500,000). In addition, there are 9 states that do not require charitable registration so, obviously, no audit would be needed in those states. There are 16 states that require an audit for initial charitable registrations, with varying dollar thresholds, based on revenue or contributions, which trigger the need for an audit. For example, Illinois has a low threshold of $300,000 in charitable contributions, while Georgia’s threshold is $1M in revenue, excluding interest, dividends or income from the investment of charitable funds. Periodically, audit thresholds are adjusted by the states, as was the case for New York, which increased its threshold from $500,000 to $750,000, effective 7/1/2017. Similarly, West Virignia recently increased its threshold from $200,000 to $500,000 of charitable contributions (excluding government and private foundation grants). Note that, if professional fundraisers are engaged, in Illinois and Mississippi, where the audit threshold is normally $300,000 and $500,000 in contributions, respectively, the threshold is reduced to $25,000 in Illinois and eliminated altogether in Mississippi (i.e. an audit is required regardless of the amount of contributions received if a professional fundraiser is engaged). Three states will accept an audit OR a completed IRS Form 990. For example, in North Carolina an IRS Form 990, 990-EZ, 990-PF, audited financial statements by an independent CPA, or Annual Financial Report Form is accepted for the initial registration. For nonprofits that have not completed a fiscal year, a budget for the current fiscal year is sufficient. There are 19 states that do not require an audit for charity registration renewals and annual reports. Note that in California an audit does not have to be filed with the registration renewal (Form RRF-1), but rather must be made available upon demand, if revenue exceeds $2M. Also, Alaska and Oregon are unique in that an audit is not required in support of a charitable registration for Alaska, or annual report for Oregon, unless one was prepared. In addition, no audit is required in the 9 states that do not require charitable registration. There are 20 states that require an audit for renewals of charity registrations and annual reports, with varying requirements and thresholds based on revenue or contributions. Interestingly, while most charities that file a renewal in Massachusetts and have revenue that exceeds $500,000, must include an audit with their renewal on Form PC, private foundations that file IRS Form 990-PF are exempt from the audit requirement. In Rhode Island, compiled financial statements or an IRS Form 990 is required in support of a renewal, if revenue is below $500K, whereas an audit is required if revenue is higher. Audited financial statement prepared by an independent CPA. As you can see, there is not a lot of uniformity among the states when it comes to audit requirements for charitable registrations, renewals and annual reports. Charities accepting donations nationwide must carefully keep track of specific state requirements if they want to register and solicit charitable donations legally. To assist our clients in keeping up with specific state audit requirements, COGENCY GLOBAL INC. has developed charts that outline state audit requirements for state charitable solicitation registrations and renewals. Click here to download these charts.